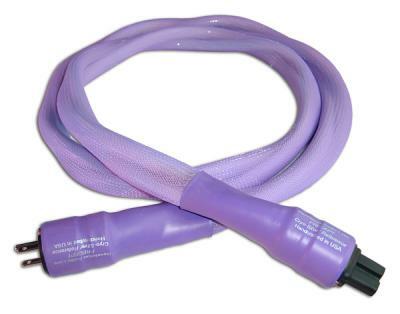 'Precept' CryoSilver Reference AC mains power cable Power cable from Revelation Audio Labs, Inc.
Cables & Connectors > 'Precept' CryoSilver Reference AC mains power cable > Revelation Audio Labs, Inc. Massive 6-gauge conductor cross-section. Furutech FI-25 high-end grade rhodium connectors. Capable of extremely high current delivery, yet rendering delicately accurate musical nuances. Transparent and lightning fast. Excellent for use on all equipment types. 20-amp IEC available. Standard length 2-meter, custom lengths available. Manufacturer Revelation Audio Labs, Inc.
'Precept' CryoSilver Reference AC mains power cable > Revelation Audio Labs, Inc.